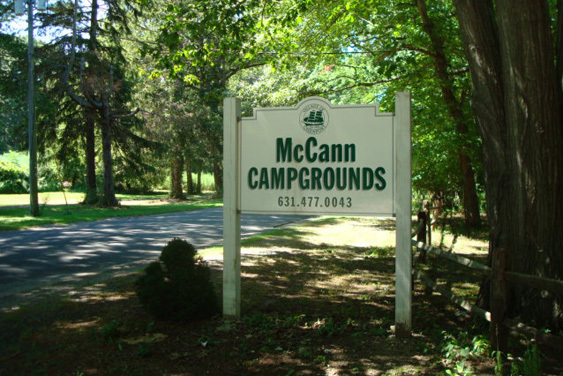 The rules and regulations are in place for the safety of all campers, especially children. We would like to make your stay here a pleasant and enjoyable time. Please be respectful and considerate of your neighbors and all other guests in the campground. Failure to abide by any of the rules and regulations will automatically and immediately terminate your stay and you will forfeit any and all monies paid. CHECK IN: will be permitted between 1:00 pm and 8:00 pm only. NO ARRIVALS AFTER DARK. CHECKOUT TIME is 12:00 NOON. If you wish to stay longer and the site is available, we will try to accommodate you for an additional fee of $10 through 8:00 PM. SPEED LIMIT IS 5 MPH within the campground and will be strictly enforced. FIRES are permitted in suitable containers and must be located at the roadside part of the campsite. ALL FIRES must be contained and above ground. Keep fires away from LP tanks and always exercise caution. No unattended fires. PETS: Animals, other than household pets, are prohibited. All pets must be registered upon entering the campground. Pets MUST be confined to owner’s immediate area by a restricting leash. DO NOT TIE YOUR PET TO THE TRAILER. Do not leave pet unattended in camper or tent. When walking, your pet must be on a leash no more than 6 feet in length. DO NOT WALK YOUR DOG NEAR OR DIRECTLY IN FRONT OF OTHER CAMPERS OR CAMPSITES. Proof of current rabies inoculation is required. If your pet barks, bites or becomes a nuisance, or if pet is not immediately cleaned up after, owner and pet may be asked to leave campground. OCCUPANCY: Occupancy is limited to 4 individuals per site. VISITORS: Guests may visit from 8:00 AM to 10:00 PM and must check in with management to obtain a parking pass. OVERNIGHT GUESTS: A fee of $5.00 per guest/per night will be charged. Guests must register and pay fees prior to their overnight stay. ONE VEHICLE PER CAMPSITE: You must park your automobile directly in front of your trailer/motor home. DO NOT BLOCK OR PARK ON ADJACENT CAMPSITES. Any additional automobiles must be parked in the parking field. If your automobile is oversized, you will be asked by management to park in the parking field so as not to interfere with surrounding campsites. ALL VISITORS MUST PARK IN THE PARKING FIELD AND OBTAIN/DISPLAY A VISITOR PASS. USE OF DUMPSTERS: All campers must keep their campsites clear of any litter. NO OUTSIDE GARBAGE PAILS ARE ALLOWED. PLEASE NOTE: WE DO RECYCLE. CUTTING ACROSS CAMPSITES IS PROHIBITED. QUIET HOURS: Quiet hours are strictly enforced from 10:00 PM – 8:00 AM. UNRULY AND/OR INTOXICATED BEHAVIOR WILL NOT BE TOLERATED. The police will be called and you will be immediately escorted from the premises. STRICTLY PROHIBITED: The use of motor bikes, ATV’s, sling shots, BB guns, fireworks or any firearms. No storage sheds, outdoor structures, refrigerators/freezers or washing machines on individual sites. SCREEN CANOPIES: are permitted but must be placed so as not to encroach on neighboring campsites. Please check with management first. REPAIRS: Repairs to your recreational vehicle, boat or car must be pre-approved by management. BOAT CLEANING: You may wash/rinse your boat by using the water hose located by the dumpster. DO NOT CLEAN/WASH YOUR BOAT OR CAR ON YOUR CAMPSITE. UNDER 21: At least one member of a group of campers must be over the age of 21 to register and must accompany the group at all times. Management has the right to ask for proof of I.D. Underage drinking will result in termination of your stay.